A stylish and sophisticated large messenger bag made in a rich vegetable tanned leather. 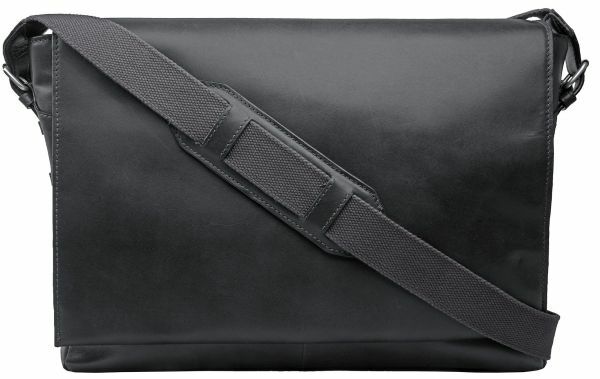 Large enough to fit a 17" laptop, this bag is ideal for work or daily use. Interior: One main compartment and one slip pocket large enough to fit a laptop. The main compartment has one slip pocket and one zip pocket. The inner flap has a suede finish. Exterior: A zip pocket at the back. Handles and Strap: Adjustable canvas webbing shoulder strap with a leather shoulder pad.